This Notice serves to explain the ways in which your Protected Health Information (PHI) must be managed. PHI is information about you, including basic demographic information, that may identify you and that relates to your past, present, or future physical or mental health. This Notice will also serve to inform you of your rights and my obligations in the use of any disclosure of medical and mental health information. It is understood that information about you and your health is personal. Each time you visit any doctor's office, hospital, or clinic, information is collected about you and your physical or mental health. A record of the care and services that you receive goes into your health care record. This record is needed to comply with certain legal requirements and it helps to provide you with quality care. Mental health information that identifies you is kept private and confidential. Anyone employed or contracted by the counseling office must abide by state and federal guidelines of confidentiality. You must be given this Notice of legal duties and privacy practices regarding PHI information about you. I will not disclose PHI about you without your written authorization, except as described in this Notice and as further outlined in the Informed Consent for Counseling "Confidentiality Exceptions" Section. For Treatment: Your PHI may be used in order to conduct a current assessment of your problems; to obtain previous client records, when applicable; to create and carry out a treatment plan; to talk with other health care professionals who are also treating you, such as your family doctor, medical specialists, or psychiatrist. You may be referred to other professionals or services which I cannot provide. When this happens, I need to tell them things about you and your condition. I will receive back their findings and impression/recommendations and those will go into your record. For Payment: Your PHI is used to create a billing statement. It may also be used to inform insurance companies and third party payers with regards to billing for services. For Healthcare Operations: Your PHI may be used to run the business operation of this office, and to monitor the performance of any mental health provider or office staff involved with record keeping for the purpose of improving the quality and effectiveness of services rendered. Personal Communications: Your PHI may be part of contacts made to schedule counseling appointments, follow-up on voice mail or e-mail questions or requests, to mail written documentation of client visits through billing statements, or for the purpose of notifying you of upcoming counseling groups or providing informative and educational information or referrals. Treatment Alternatives: PHI about you may be released by me for your care in the case that the therapist recommends alternative treatment such as partial hospitalization or in-patient treatment, or any other treatment option or alternative that may be of interest or benefit to you. Food and Drug Administration: PHI about you may be disclosed to the FDA or its agents relative to adverse events with respect to drugs, foods, supplements, products and product defects, or post-marketing surveillance information to enable product recalls, repairs, or replacement. Individuals Involved in Your Care or Payment for Your Care: Other health care professionals involved in your care including family physicians, psychiatrists, in-patient hospital programs, drug and alcohol treatment programs, community support services, as well as family members, close friends or relatives that you designate may be given PHI relevant to your care and treatment. Research: PHI about you may be given to researchers when their research has been approved by an institution review board that has reviewed the research proposal and established protocols to ensure privacy or your information. If your PHI is going to be used for any purpose other than those described, I need your permission on an authorization form. It is not expected that this will be needed very often. If you do agree to allow your PHI to be used or disclosed by me, you have the right to revoke the agreement at any time. Avert a Serious Threat of Health or Safety: PHI may be disclosed by me about you when necessary to prevent a serious threat to your health and safety, or the health and safety of others. The information may be disclosed to public health or legal authorities charged with preventing or controlling disease, injury, or disability. 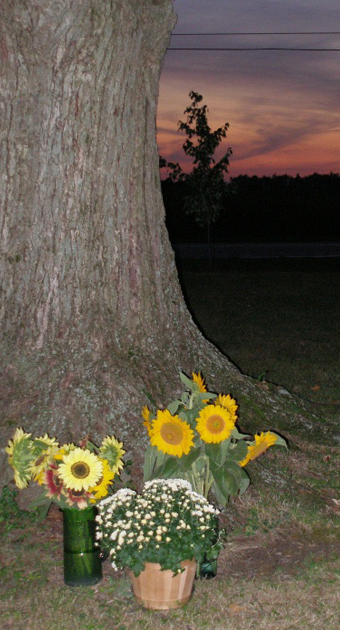 Victims of Abuse, Neglect, Exploitation, or Domestic Violence: I am required to disclose PHI to government authority, such as social service or protective services agencies, if it is suspected that you are the victim or perpetrator of abuse, neglect, exploitation, or domestic violence in order to prevent serious harm to you or someone else. Health Oversight Activities: I may disclose PHI about you to an oversight agency for activities authorized by law. These oversight activities include audits, investigations, and inspections, as necessary for licensure and the government to monitor the mental health care system under state, federal, and local laws. Judicial and Administrative Proceedings: If you are involved in a lawsuit or a dispute, I may disclose PHI about you in response to a court or administrative order, a subpoena, or a discovery request, but only if efforts have been made to tell you about the request or to obtain an order protecting the information requested. Law Enforcement: PHI may disclosed about you for law enforcement purposes as required by law or in a response to a valid subpoena, court order, warrant, summons or similar process; to identify or locate a suspect, fugitive, material witness, or missing person; or about the victim of a crime if, under certain limited circumstances I am unable to obtain the person’s agreement; about a death I believe may be the result of criminal conduct; in emergency circumstances to report a crime, the location of a crime or victims, or the identity, description or location of the person who committed the crime. Coroners, Medical Examiners and Funeral Directors: PHI may be released about you to a coroner or medical examiner by me. This may be necessary, for example, to identify a deceased person or determine the cause of death. PHI may also be released to funeral directors, to carry out their duties. National Security and Intelligence Activities: PHI may be released about you to authorized federal officials for intelligence, counterintelligence, and other national security activities authorized by the law by me. Protective Services for the President and Others: I may disclose PHI about you to authorize federal officials so they may provide protection to the President, other authorized persons or foreign heads of state or to conduct special investigations. Correctional Institutions: If you are or become an inmate of a correctional institution, PHI necessary for your health and the health and safety of others may be disclosed to the institution or its agents by me. Obtain a Paper Copy of This Notice Upon Request: You may request a paper copy of this notice at any time. Even if you have agreed to receive this Notice electronically, you are still entitled to a paper copy of the Notice. Inspect and Obtain a Copy of PHI: You have the right to access and copy PHI about you contained in a designated record set for as long as the counseling office maintains the record. The designated record will contain a diagnosis, treatment plan, progress and billing summary. To inspect or copy you PHI you must send a written request to this counseling office. You will be charged a fee for the cost of copying, mailing, and other supplies that are necessary to respect your request. Your request may be denied to inspect and copy your PHI in certain limited circumstances. If you are denied access to PHI about you, you may request that the denial be reviewed. Request an Amendment of PHI: I you feel that PHI in your mental health record is incomplete or incorrect; you may request that it be amended. To request an amendment you must send a written request to the counseling office. In addition, you must include a reason that supports your request. In certain cases, your request may be denied for amendment. If you are denied, you have the right to file a statement of disagreement with the decision and you will be provided with a rebuttal to your statement. Receive an Accounting of PHI: You have the right to receive an accounting of the disclosures that have been made about you after April 14, 2003. To request an accounting, you must submit the request in writing to the therapist at this counseling office. Your request must specify the time. You will be notified of any costs involved. You have the right to modify or withdraw your request at that time. I am not required to agree with your request. Request Communications of PHI by Alternative Means, At Alternative Locations, or Right to Request Restrictions and Confidentiality on PHI: Example: You may request that the therapist on your cell phone, that messages not be left on your home or work voice mail, that the therapist not identify herself when calling you if someone else answers the phone, that no identifying information appear on the outside of written communications. Your request must be in writing and state how and when you would like to be contacted. I reserve the right to change my practices and this Notice and to make the new Notice effective for all PHI maintained in my office. Upon request I will provide a revised PHI to you. If you believe your privacy rights have been violated, you may file a complaint with the therapist and/or with the Secretary of the Department of Health and Human Services. All complaints must be submitted in writing. You will not be penalized or discriminated against for filing a complaint.